It is said that the formation of the Brotherhood rewrote the course of history. The Brotherhood was formed in 2275 A.D. by the first Cardinal, Nathaniel Durand, following the end of the First Corporate Wars. It's foundation drew all the Megacorporations together into unity. A new calendar was created in the year of the Cardinal's inauguration and dates were henceforth written as Y.C. -In the "Year of the Cardinal". From it's earliest days, the Brotherhood established themselves as a martial force and not simply a clerical order guiding humanity with words of wisdom and peace; the times are too dark, the enemy too prone to slaughter for such a charitable expression of faith. Did not the Cardinal himself lead an army of thousands against the "Apostle of War" and did he not smite down and cleave into bloody ruin many a hell-spawned demon sent against him? He did; and as in all things, the Brotherhood follows what Cardinal Durand taught them. The military wing of the Brotherhood, which forms the larger part of the Inquisition, is growing all the time. From the moment one joins the Brotherhood one is considered part of a holy war and as such one highly motivated by devotion to the Cardinal. The Brotherhood military is varied and consists of a large quantity of standard troops augmented by specially trained assignment warriors with particular skills or equipment, best suited to the mission in hand. 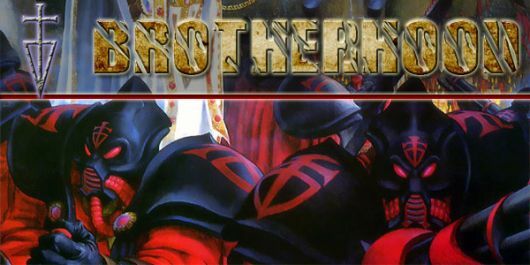 When The Brotherhood rose from the ashes, then another, much darker power awoke with it - The forces of Dark Legion were spread all over the universe and attacked humanity. Activity of the Dark Legion started when an Imperial ship landed on a new planet, the last planet of our solar system, planet Nero. All of the Megacorporations were led by the Brotherhood in one last fight against the Dark Legion forces, within the jungles of Venus.